Commercial leasing practical insights, based on law in Florida and generally. Obviously, every commercial lease agreement must specify the amount of rent to be paid by the tenant to the landlord. However, there are often many additional sums that a tenant is required to pay its landlord pursuant to the lease agreement. In a typical triple net lease, a tenant will pay a fixed base rent, and then additional sums for common area and maintenance (CAM) charges, which includes items such as real estate taxes, insurance, maintenance fees, and management fees. CAM charges are often defined as Additional Rent in a good triple net lease, but some lease forms fail to do so. Often there are late charges, other miscellaneous charges and other fees called for in a lease that fall outside of CAM, and escape the definition of either Base Rent or Additional Rent even in a good lease form. miscellaneous charges as “Rent” or “Additional Rent” in its lease agreement. happened as a result of that omission. and was assigned Tenant’s lease agreement, without any changes or amendments. refused to pay late charges as specified in the lease agreement. numerous municipal code violations, a direct violation of the lease agreement. it considered “additional rent” under the lease agreement. due in order to defend the eviction claim. Landlord would be entitled to money damages from the Tenant, an empty victory. protections, and if not, negotiate amendments when possible. Michael Kean, Bruce Loren and Allen Heffner of the Loren & Kean Law Firm are based in Palm Beach Gardens and Fort Lauderdale. Loren & Kean Law is a boutique law firm concentrating in construction law, commercial landlord-tenant law, employment law, and complex commercial and real property law. Mr. Loren has achieved the title of “Certified in Construction Law” by the Florida Bar. Mr. Kean has been advising, representing and guiding commercial landlords in a variety of matters for over 25 years. 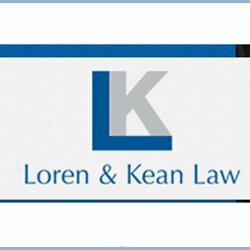 Mr. Kean, Mr. Loren and Mr. Heffner can be reached at mkean@lorenkeanlaw.com, bloren@lorenkeanlaw.com or aheffner@lorenkeanlaw.com or 561-615-5701.